For countless people, a poor night’s sleep is an all too common issue when they stay in an unfamiliar place, and there’s science behind this. A study from Brown University highlights the fact that when we stay somewhere we don’t know, or are not too familiar with, the left side of our brains stay awake, meaning we are subconsciously wanting to remain awake as a result of heightened anxiety that comes with sleeping away from home. This is our very own animalistic, adaptive response that gives us a degree of protection when we’re sleeping in unaccustomed environments. Some things that you should know before you go away can help that will allow you to make sleep much easier and more enjoyable while you’re away. The aim of this article is to give you some helpful ideas that you can use to make this happen and secure some sound slumber every time. Experts support the notion that you should let some home comforts accompany you when you go away because by doing this, it can help to make the space more comfortable, which will aid in putting you at ease. 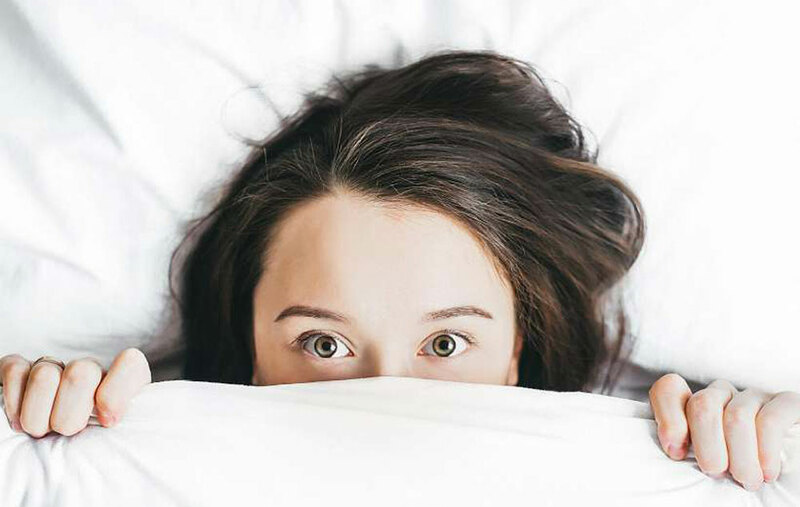 We’re massive creatures of habit and sleep is one very profoundly fundamental habit, so, therefore, the more you can mirror your nightly bedtime routine, the likelihood rises in terms of you achieving a much better-quality night’s sleep. Being prepared will involve such things as checking the place out that you are staying in before you go. If this is not possible, consider taking a photo of your family or loved ones in your bag that you can look at before bed and this will help to ease your mind at bedtime. When you arrive in the room that you’re staying in, one of the best things that you can do to support healthy sleep, or encourage a better night’s sleep, is to take some time to look at the room a little more closely. Among the most advantageous things you can do is to make the room as much of a sleep-positive haven as possible; so, essentially, you should be focusing on cool (not cold), quiet and dark. Those three key factors just mentioned will form a formidable environment that will help you sleep well, and as such, you should try to make the room as dark as possible, and if the room doesn’t get dark enough for you, you can always pack an eye mask that will give you that blackout sensation. The idyllic temperature for sleeping in is 60-67 Fahrenheit, sleepadvisor.org recommend, so you might want to adjust the heating/air conditioning to suit your needs when it comes to the temperature. Don’t forget that if you want to evade the exterior noise; perhaps you know you’re going to be staying in a busy area with lots of outside noise, then you can cancel this out by using earplugs and this will help you to have a more relaxed left-side of the brain that is less awake when you’re asleep. If you’re staying at a friend’s house, a hostel or a hotel, you can make sleeping there much more relaxed and seamless by asking any questions you might have before arriving. They may be trivial, they may be common questions, but if they’re important enough to play on your mind then you should simply put your mind at ease by getting an answer to your queries. This will help you to remove these distracting thoughts and concentrate on other, probably more important, matters. The temptation to reach for the treats or to eat lots more than you usually would when you’re away from home but when it comes to getting sound sleep, this isn’t up there on the list of good things to do. Instead, a lighter meal is a far more advisable route to go down, particularly if you’re going to bed just several hours after arriving, and this is because if your meal is too heavy you’ll be confronted with unwanted indigestion, for example. Sorry, not cheeky doggy bags to tuck into as a late-night snack either. Researchers from the Perelman School of Medicine at the University of Pennsylvania published a study that found eating late at night raises glucose and insulin levels, and both are recognised causes of type II diabetes. What’s more, by not having food in your room, the residual smells won’t disturb you as you try to sleep. Lastly, a warm cup of cocoa or coffee in bed might seem like a good idea to soothe you off to sleep, but the sugar and/or caffeine will affect you in the total opposite way and cause disturbances with your brain and body as they try to settle for rest, so stick to a herbal tea or some water.